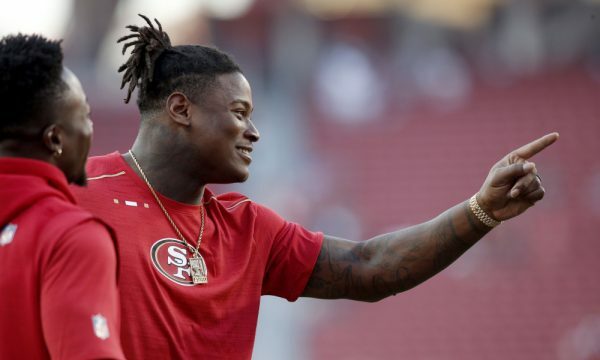 After an awful showing on Sunday at home against the Carolina Panthers, the 49’ers got more bad news on Monday, as they are going to be without linebacker Reuben Foster for while. 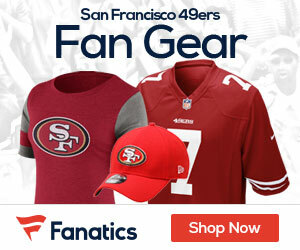 CSNBayArea.com reports it’s a high ankle sprain for Foster, and he’s going to sit for a couple of weeks. It is common for players with high-ankle sprains to be sidelined four to six weeks. Shanahan said he was not aware of the exact severity of Foster’s injury. Foster sustained the injury on his 11th play on defense. Foster had three tackles and one pass broken up before the injury. His right ankle was caught underneath his body weight as he tackled running back Christian McCaffrey while Carolina offensive lineman Matt Kalil. Be the first to comment on "49’ers LB Reuben Foster to Miss Time with High Ankle Sprain"